Night is falling on our incredible Global One Health trip to Ethiopia, but we are continuing our mission of outreach with every minute we have left. 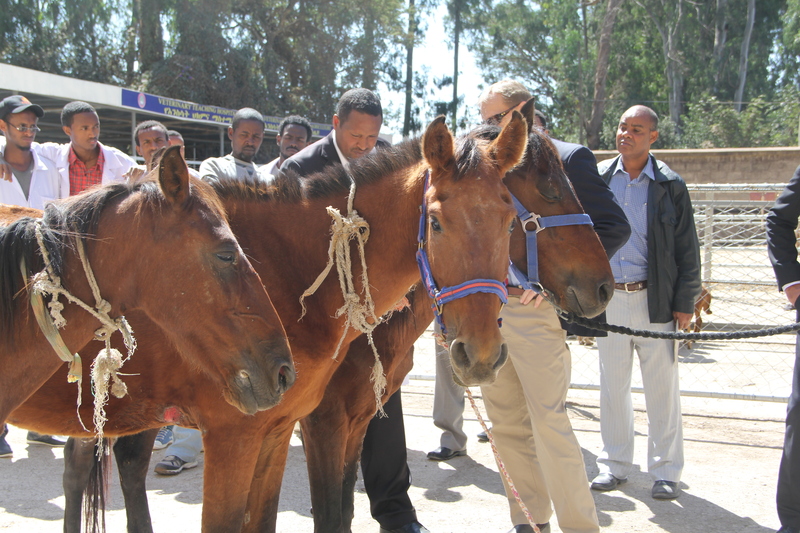 We spent our final full day at the veterinary campus of Addis Ababa University in Debrezeit, along with a contingent from North Carolina State University. 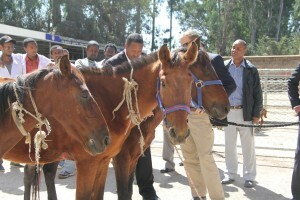 There we learned of the work by SPANA, the Society for the Protection of Animals Abroad, to help the working animals of the world, across Africa and the Middle East. 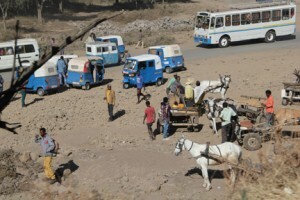 Cart horses are an integral part of life in Ethiopia, but many of them suffer horribly with overwork, lameness and poor or insufficient nutrition. During our visit we came face-to-face with Epizootic Lymphanigitis, a horrifying infection of the skin and lymph system that means death if not treated. The work being done to care for these true beasts of burden was humbling indeed. We were further inspired by Dr, Martha Yami of the National Veterinary Institute, who in just a 30 minute meeting gave us the best news of the day: NVI was nearing successful domestic production of a rabies vaccine, which they will provide for our Gondar pilot at virtually no cost. We came here with plans to launch a technological initiative and, in my case, to help develop messaging that could bring greater success to a rabies initiative that will commence this summer. We leave here with iPads in hands, courses launched and, with this news, access to the most powerful tool in our rabies arsenal. We have met so many amazing new friends and seen incredible sights that our cameras could barely contain. We have worked long hours and never wanted to stop. We offer a humble thank you to our friends at the University of Gondar and the University of Addis Ababa for their hospitality and inspiration. We thank our guardian angel Tigist Endashaw, who made sure we were always heading in the right direction. We thank the incredible Dr. Wondwossen Gebreyes of Ohio State Veterinary Medicine, the godfather of Global One Health, who inspires us all to be better at what we do and, even more importantly, better people. 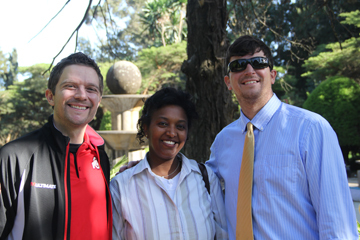 Our heartiest thank you, however, goes out to the people of Ethiopia, who could not have made us feel more welcome. We have walked your streets and eaten your food. We have felt your sun and breathed your air. You are part of us and we of you. Together, we will accomplish much. This is just the beginning. Posted by Nicole Kraft at 8:18am December 14, 2014 Posted in Uncategorized. Bookmark the permalink.